If you did, you have seen our young, well maintained multi-functional fleet of lorries, semitrailers and tractor-trailers with your own eyes. A number of mega’s (size within: 3 meters high) and a few normal tractor-trailers. We have sailing trailers for standard transport and box trailers for conditioned transport. 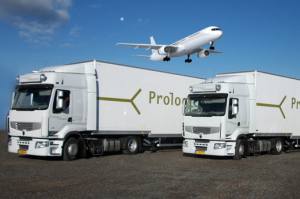 All our trailers are also suitable for air cargo. You only have a small shipment? We will just use our vans to transport it! 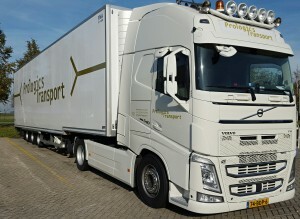 Mega box trailers with cooler (size within 3 meters high). Box trailers with cooler and roller conveyor. Isolated trailers with cooler and roller conveyor. Sailing Trailers (curtain sided trailers). 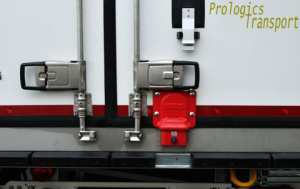 To prevent broke and for added security, Prologics Transport has all trucks equipped with a BDL lock. The BDL locks are suitable for all refrigeration and freezer trucks with revolving doors, and ensure safe storage for all your products.